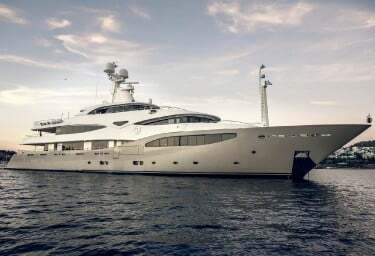 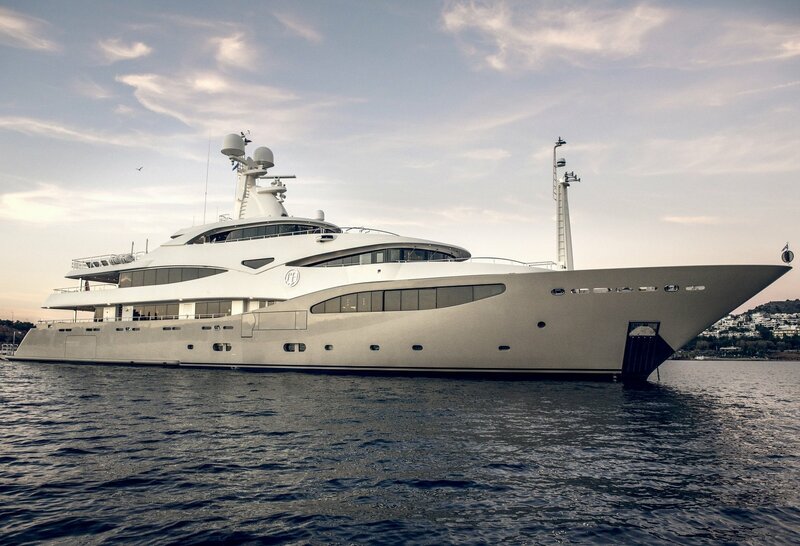 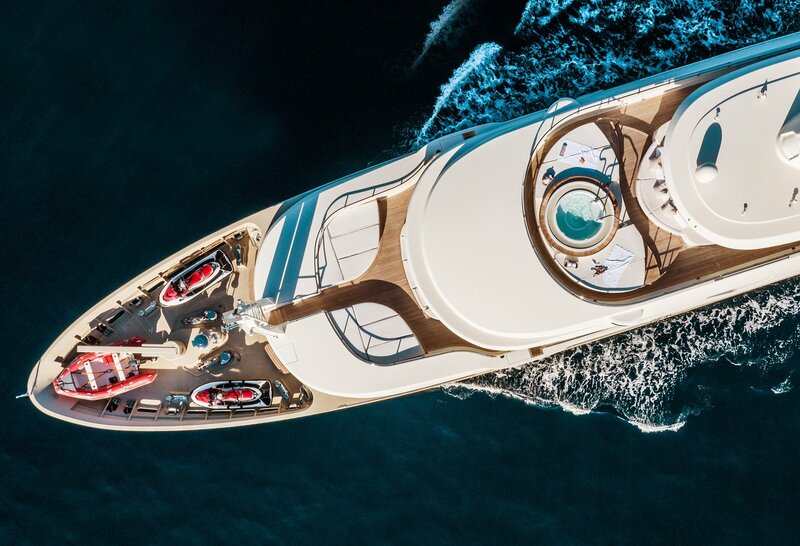 This elegant Italian-built CRN superyacht is a 197ft (60m) that abounds in leisure amenities and is available for luxury charter in the Caribbean, Mediterranean and Arabian Gulf. 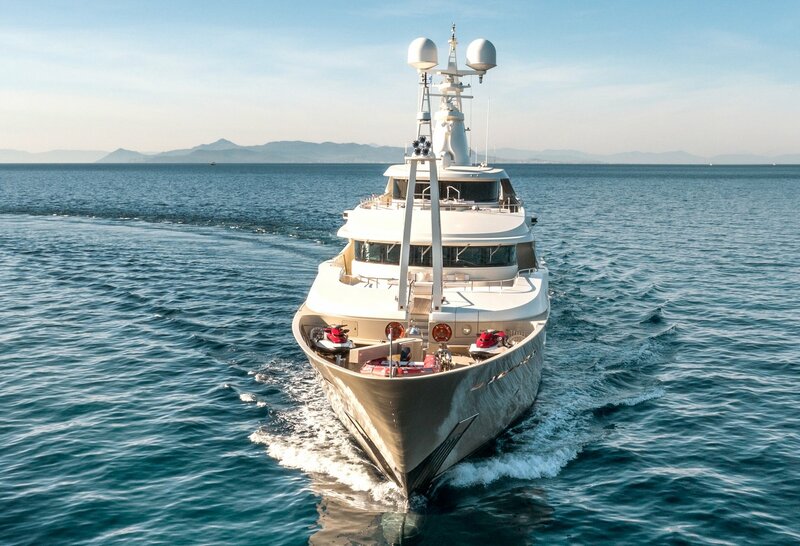 LIGHT HOLIC (ex-DARLINGS DANAMA) was designed for absolute comfort and is the classic entertainer’s delight, with spacious deck areas for all occasions – large celebrations and intimate gatherings. 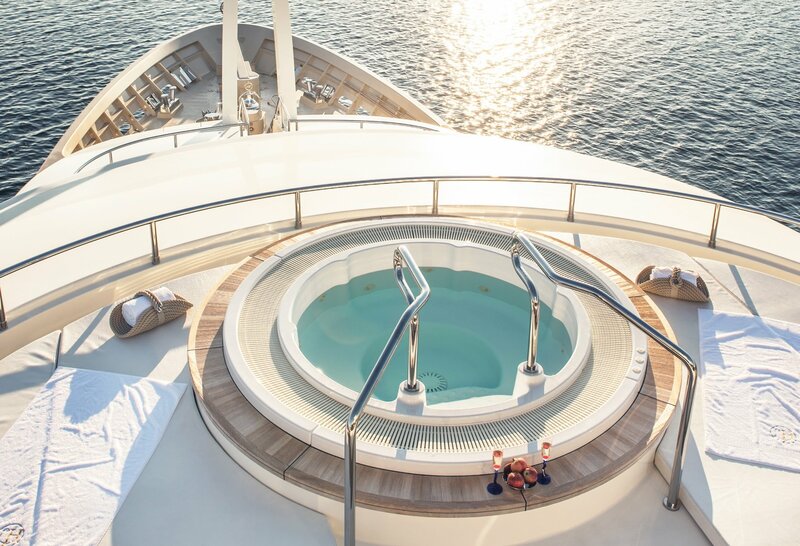 Linked by a spectacular glass elevator, each deck aboard LIGHT HOLIC is easily accessed. 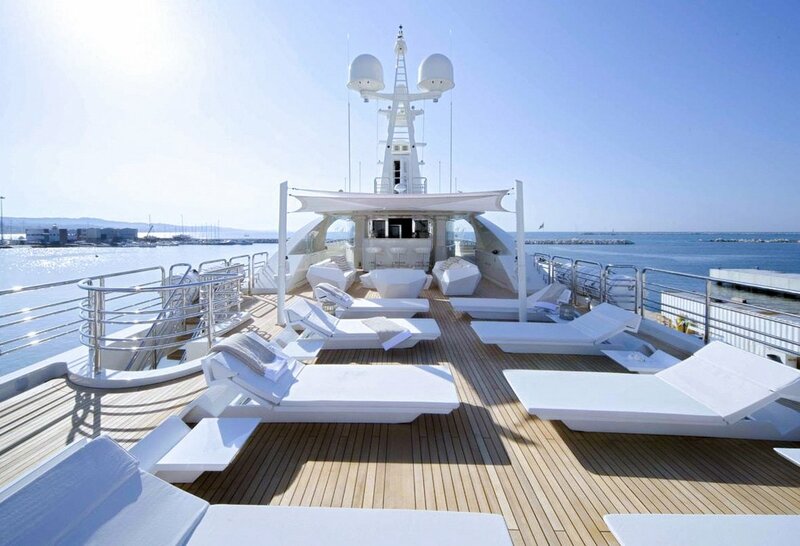 On the sundeck there’s a large jacuzzi, lounge areas, a bar and a well-equipped gym. 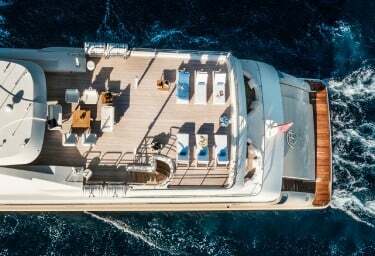 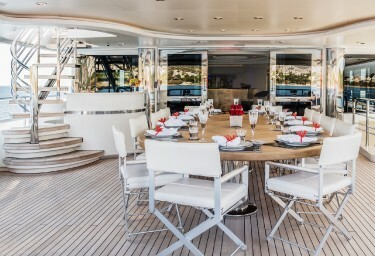 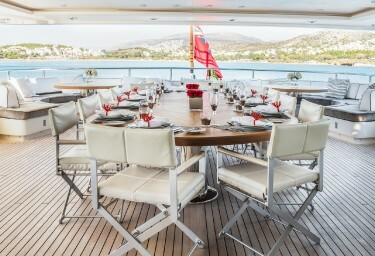 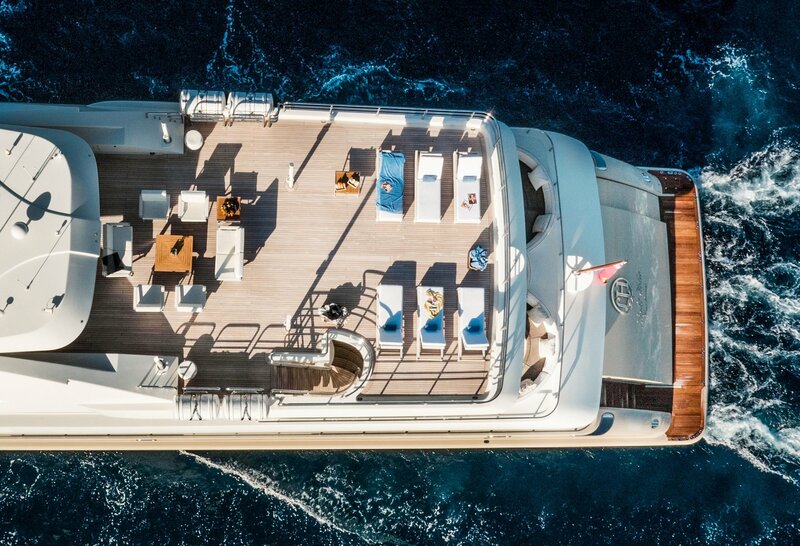 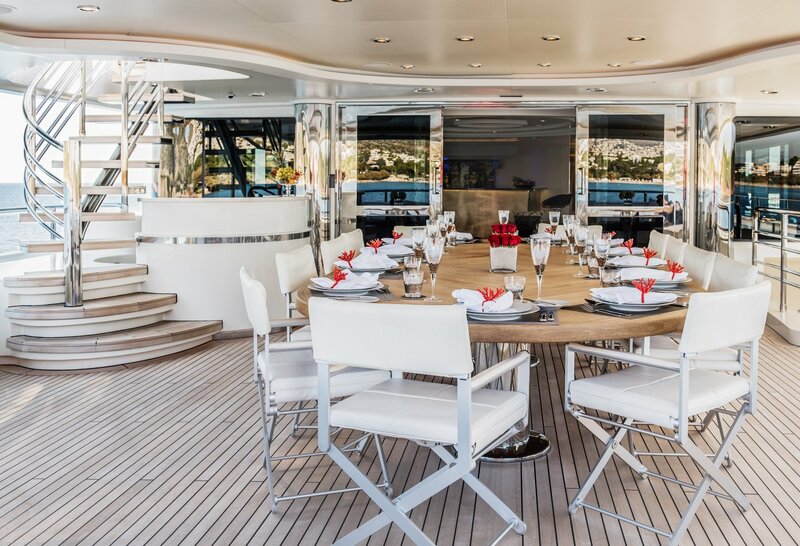 LIGHT HOLIC boasts foredeck and aft social spaces, with dining settings on her main and upper decks for meals alfresco, and a large beach club on the lower deck which is ideal for sunbathing and accessing the various watertoys onboard. LIGHT HOLIC is tastefully decorated by Alexandre and Cristina Negoescu in a contemporary version of Art Deco style using Fendi fabrics and custom-made furnishings. 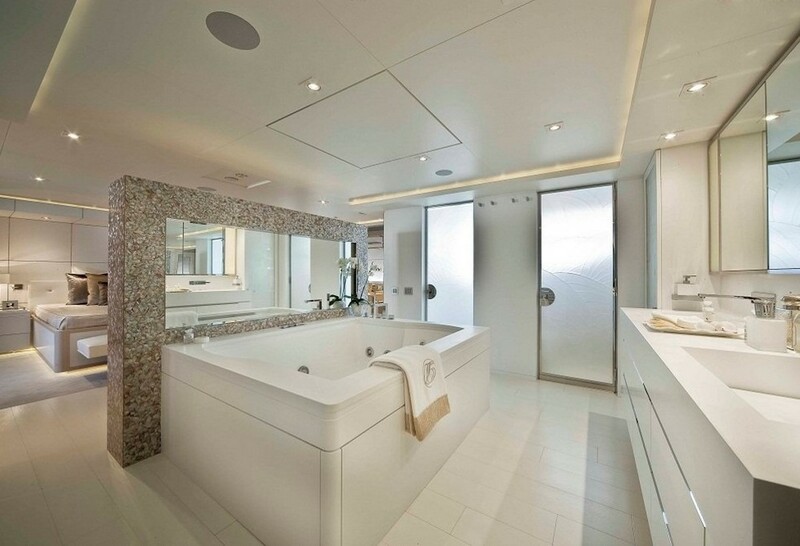 Every space conveys an inviting and relaxed ambience. 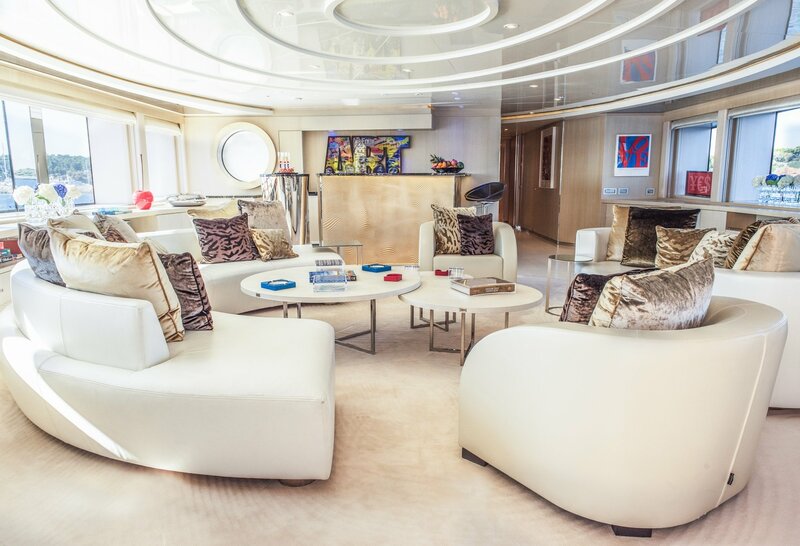 Light and lustrous thanks to the use of white, mirrored surfaces and LED lighting, the saloon is a tranquil place for entertaining and relaxing. 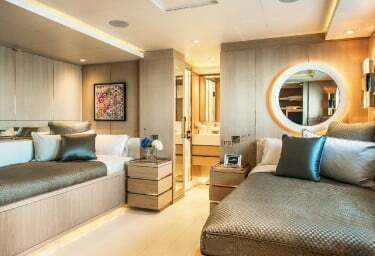 With Samsung flatscreen TV, Karaoke touch screen system, Kaleidoscope video/music on demand using AMX operating system and Sea Tel 5004 Satellite TV, LIGHT HOLIC caters to every guest’s whim for high-tech entertainment. 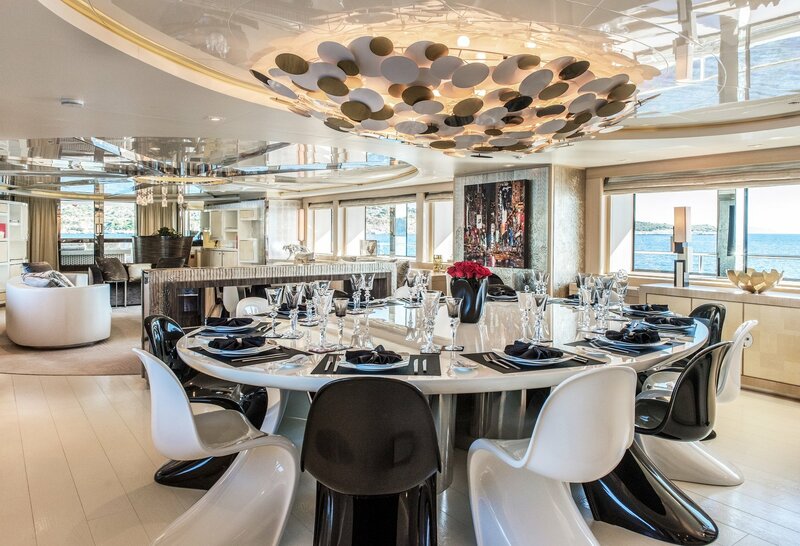 The separate dining room is a study in futuristic décor, comprising an oval dining table and retro seats, a brilliant sculptural chandelier and windows that can be open to the view or shaded, depending on the occasion. 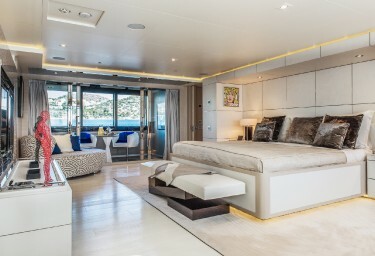 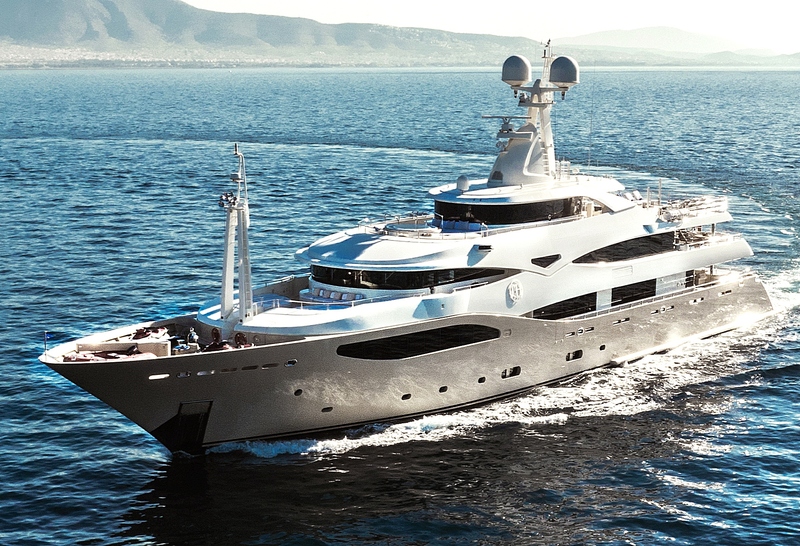 Luxury charter yacht LIGHT HOLIC can accommodate up to 12 guests in six opulent cabins. 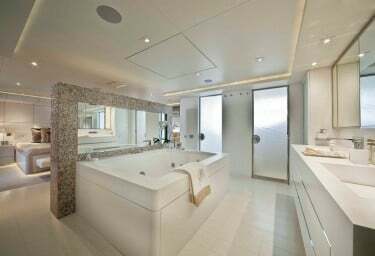 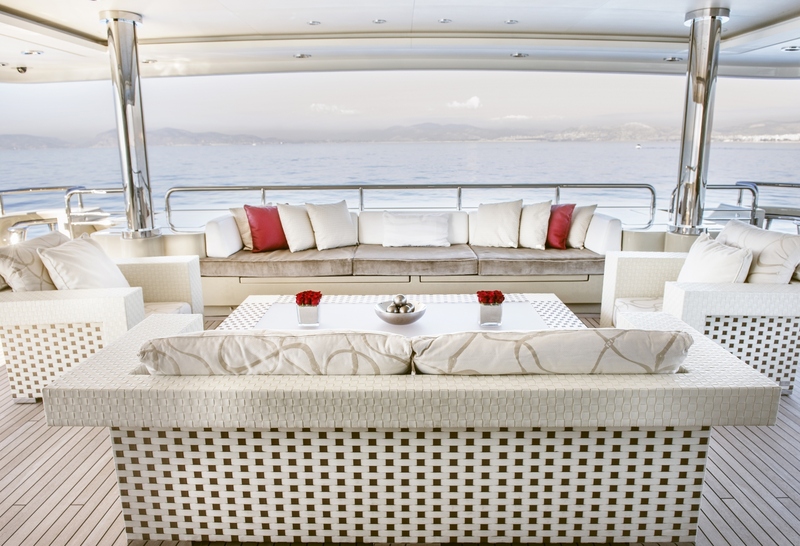 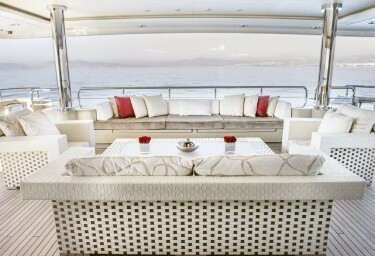 The beautifully appointed full-beam owner’s suite is located on the main deck boasts a private terrace. 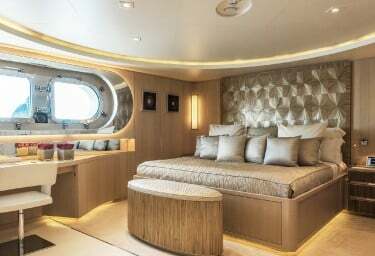 The VIP suite on the upper deck is just as lavish, and there are three doubles and a twin on the lower deck. 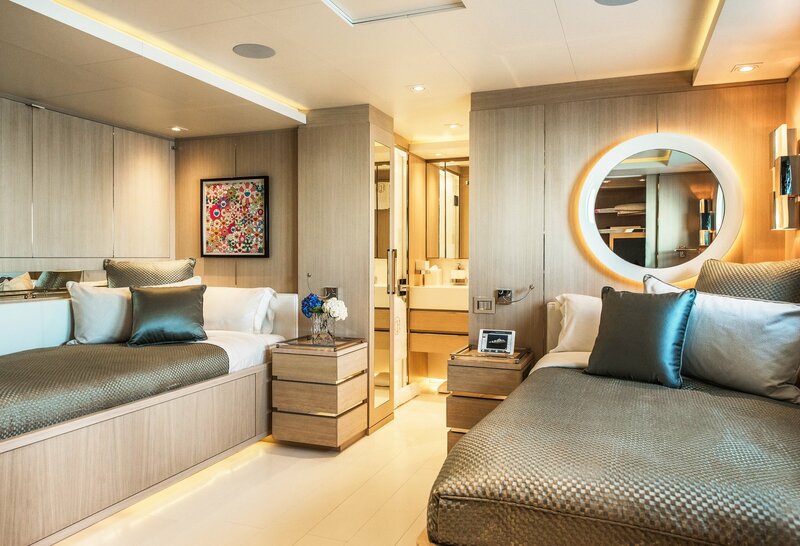 Each cabin is impeccably styled, masterfully lit, with large ensuites and windows for sweeping views, plus Samsung TV/AV and ample storage. 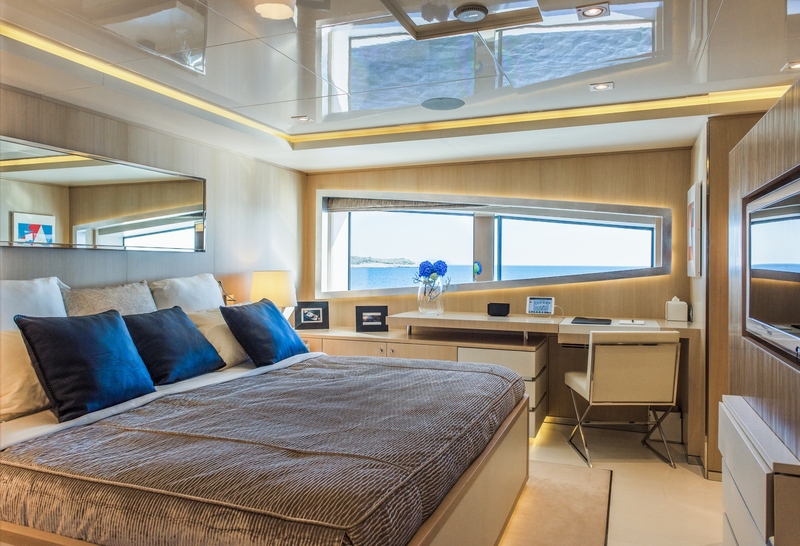 LIGHT HOLIC is a charter guest’s dream boat, packed with all the latest gadgets for enjoying the water. 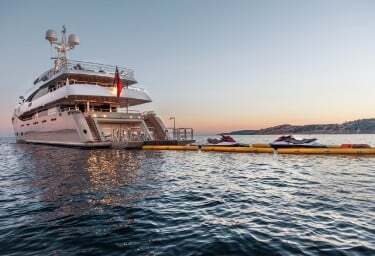 There are two Castoldi tenders, two SeaDoo jetskis, two powered sea jet blade fish 2000, 5-seater banana, various inflatables for towing, and a trampoline for hours of family fun. 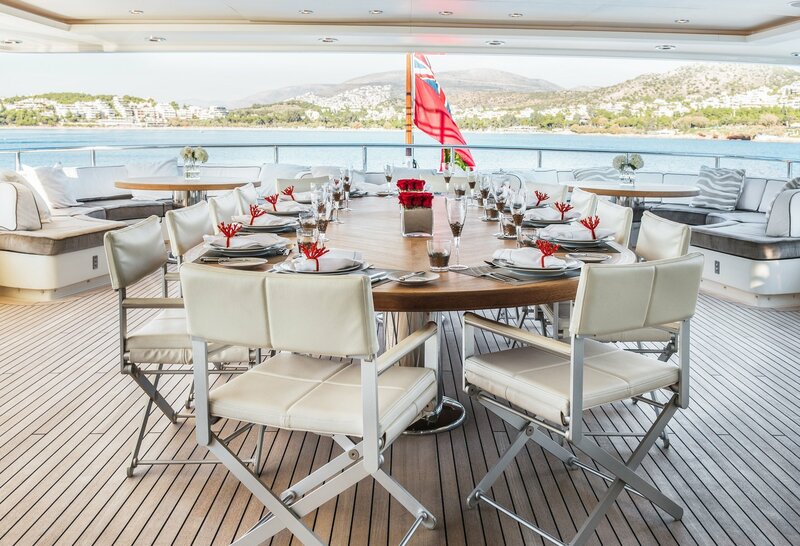 Led by experienced and knowledgeable Captain Nikolaos Souvatzis, the 15 professional crew aboard LIGHT HOLIC are enthusiastic, friendly and dedicated to making your charter experience memorable. 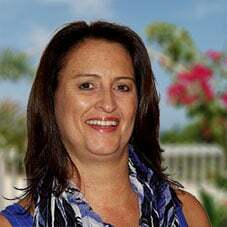 Page Loaded in 1.20 seconds from "US"